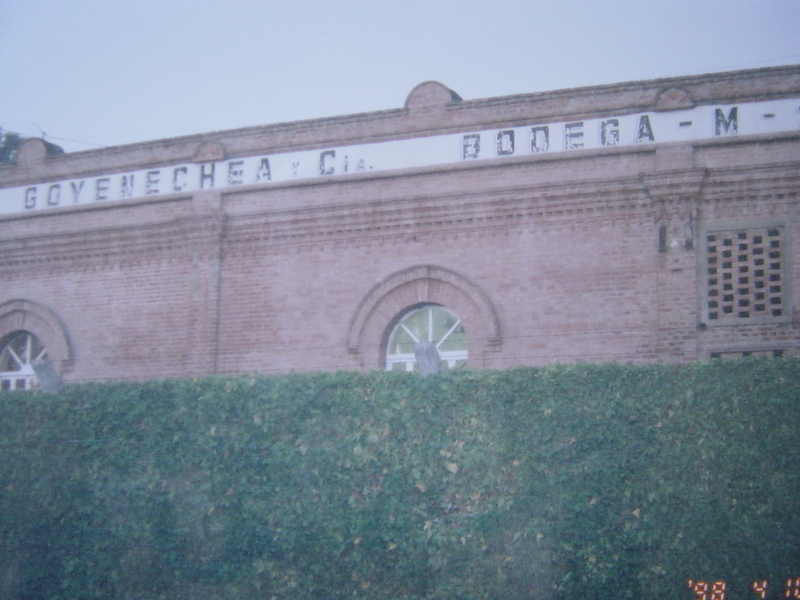 Goyenechea isn't a shiny, new bodega; it's still family owned and many things are done by hand, in the rustic, old-fashioned style. Things seem to be left just as they were years ago, with the exception of the underground caves that used to hold liquid–fermenting grape juice–that is now used to store and age bottles. The brick still glitters with crystallized sugar from the wine that was stored there. Read on for a full description of those rooms. 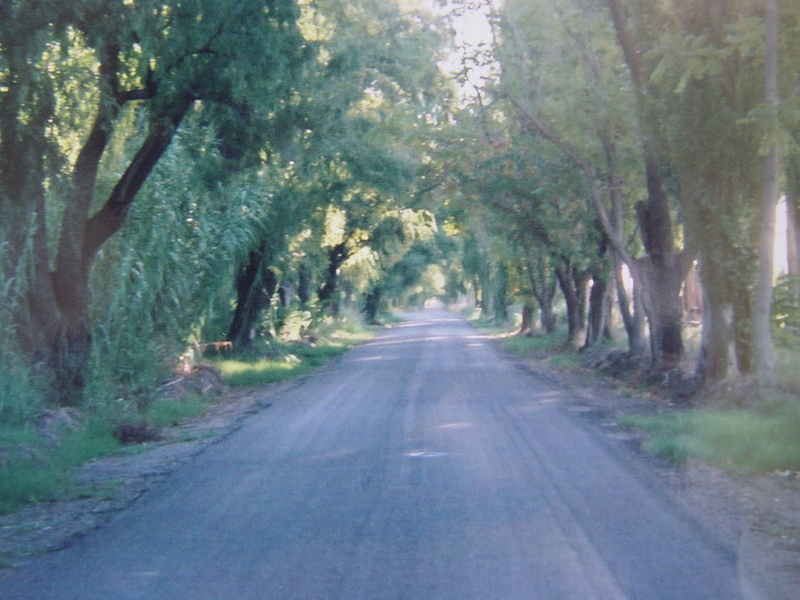 Many of the old buildings are no longer in use. Like this 'Taller', or workshop. It's used to store old, out-of-date farming and bodega equipment that's no longer in use (including an old boat!) With its 12 foot high solid oak doors and cathedral windows, it would make a perfect restaurant space. 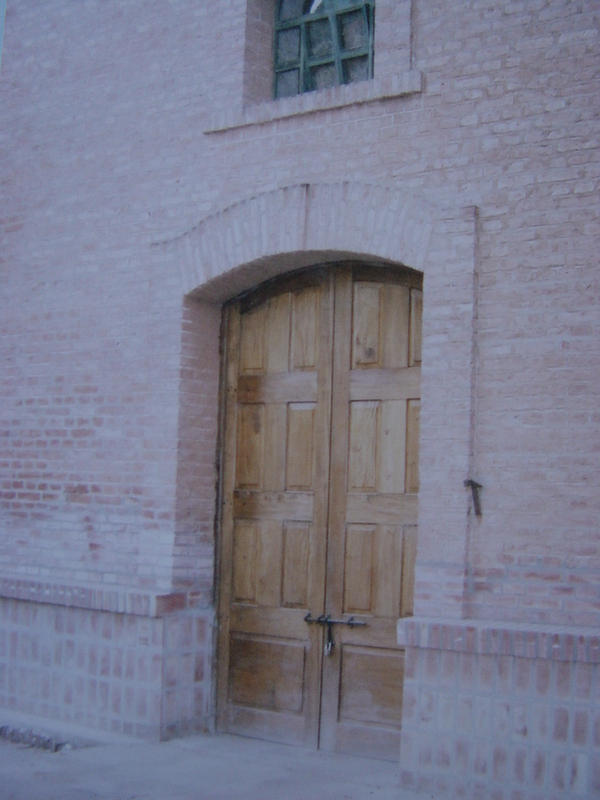 Large oak doors at the entrance to the bodega-wood is a common material in Mendoza, and used to create works of art like this. 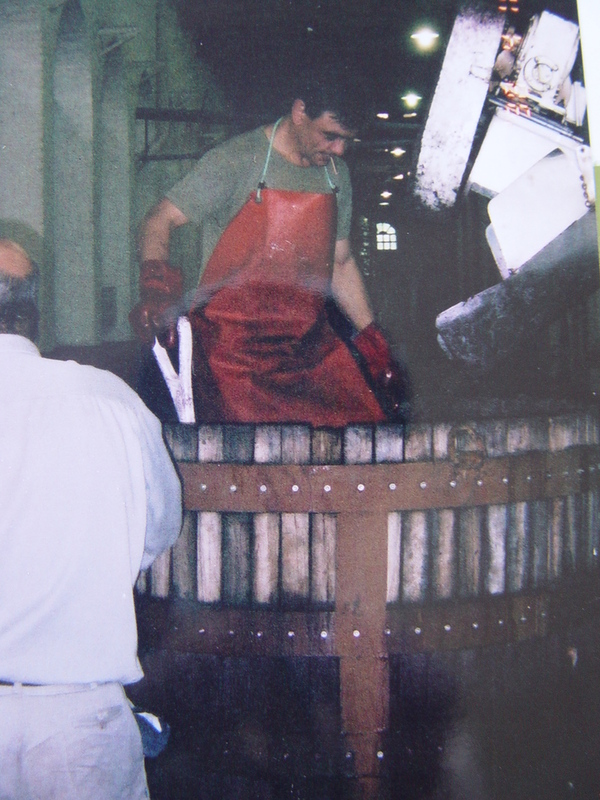 The vat has a metal spiral in it that crushes the grapes, stirred by the man with the big wooden stick. There's a machine that separates the grapes, juice and stems. 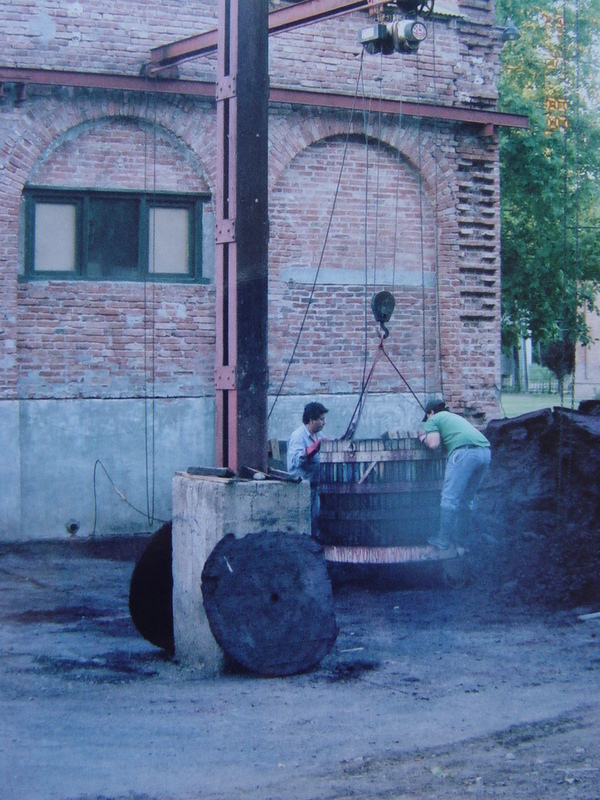 These are old barrels that were used to process the wine, the bodega now uses stainless steel vats. 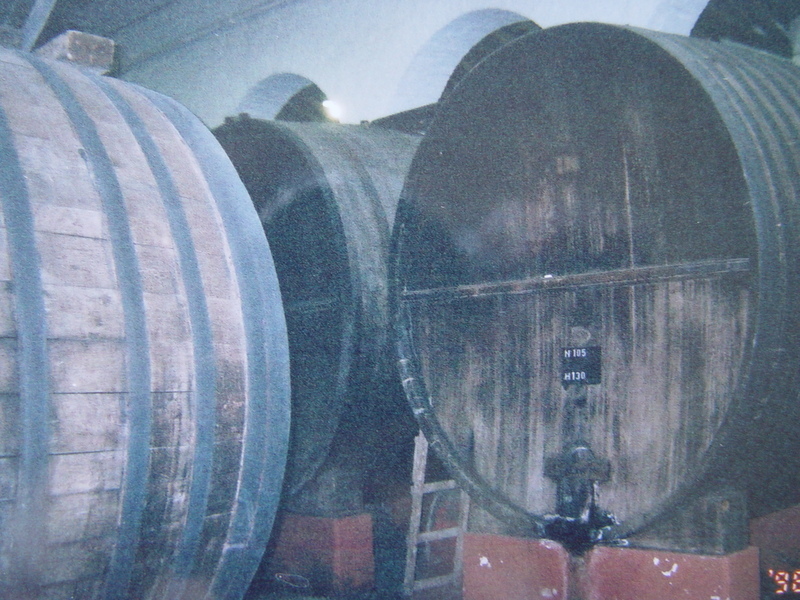 Smaller French and American oak barrels used in the aging process. Our tour wasn't one that required reservations. We simply drove there and asked the manager on duty if we could have a tour. One of the most impressive parts of the bodega was a series of rooms (that have since been connected by a hallway) used to store hundreds of bottles of wine as they age, but before they go through the labeling process and are shipped and sold. The rooms were about 6 feet by 10 feet with 10 foot ceilings, and made of brick. 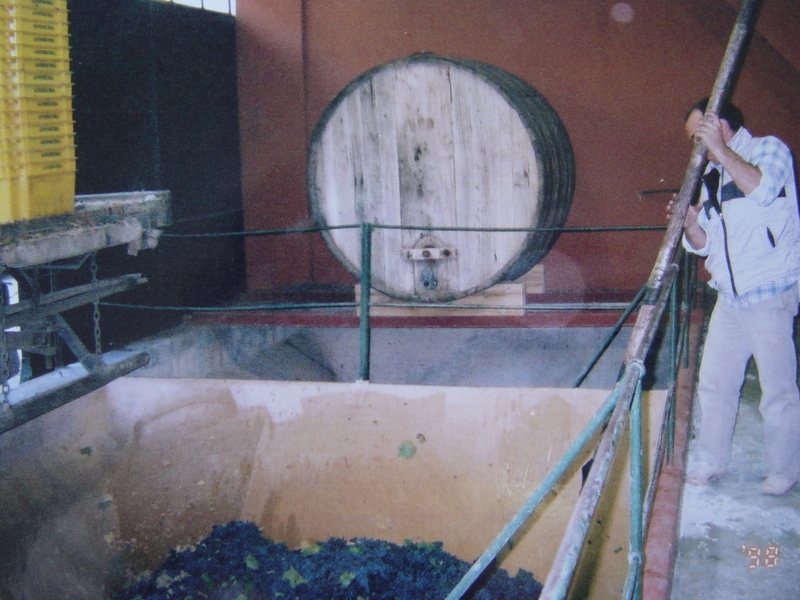 Before they were storage rooms, they were 'tanks' used to process the grape juice while it was fermenting! Quite a mental image to conjure–an entire room filled with wine. This guy is making Grappa. 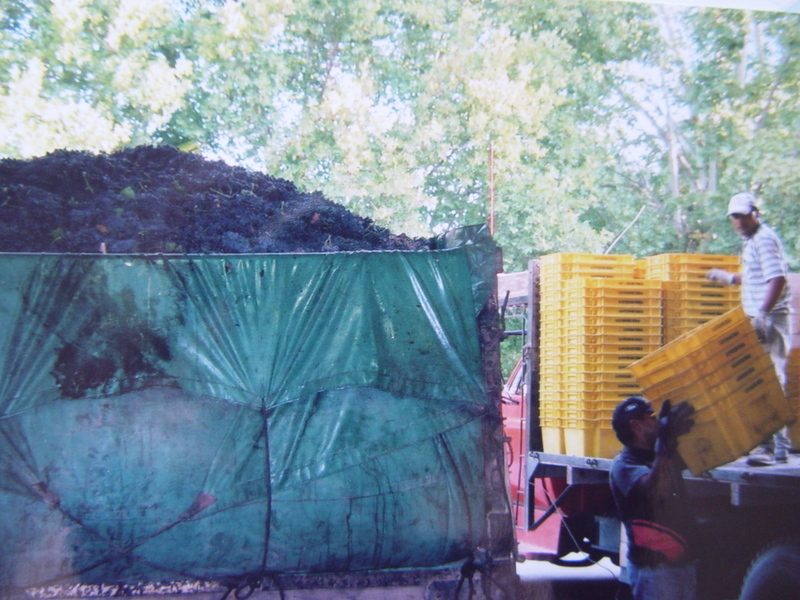 He's shoveling the stems and skins of the grapes and making an even layer of them to be pressed. Then the juice is distilled, making a clear, concentrated, and very potent alcohol. Here's another part of the Grappa making process. The stems are pressed by screwing a wooden disk down until all the juice has been extracted. Those big purple black discs on the left are the pressed stem patties. And if you think this looks like the hardest job at the bodega, you should know that there are literally guys wearing no shirts, plastic waders and carrying shovels working down in a hole inside the plant, where it's, like 100 degrees. (Isn't there a union for this sort of thing?) Down the hole, a big plastic tube pours in grapes and juice, which they shovel into the juicer, making sure nothing gets stuck. By this time, fermentation has already started, and the smell coming from the hole is positively alcoholic. I don't know if it's a good or bad thing to be down there, illuminated by a single dangling bulb with the roar of machinery behind you, but it's not a job I envy! During our tour, we sampled a Rose (sharing a single tasting glass used by the bodega manager to test the juice throughout it's fermentation process. We drank it directly out of the stainless steel cask. 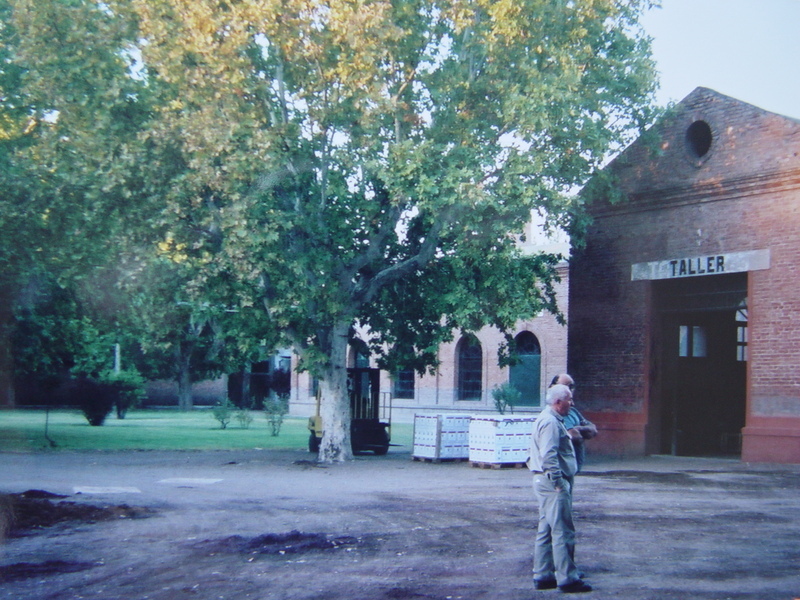 Since Goyenechea is off the beaten path, it doesn't have a tasting room, and remains a tiny undiscovered by the tourist track gem. We went home with a box of 6 wines to enjoy, which we shared with my in-laws. Mmmm…I love Malbec, especially from Argentina!!! I have a bottle from Finca Flinchman (Mendoza) that I love. It is rich and thick. Delicious! I used the Malbec in all my cooking and adore a glass while I am cooking. Delicious! This was very informative. I wonder if Grappa is rather similar to Pisco here? Ooooh, this winery looks absolutely charming. I’m not a wine drinker, but I have used Malbec in my cooking, especially in beef stews, and it’s delicious. I love Malbec, but grappa of any kind scares me! What beautiful photos and a lovely tour. Thank you!